VG Meats is a Canadian food retail business that is focused on selling various kinds of meat products. VG Meats operates as a grower, a processor, and a retailer of different meat products. The company is headquartered in Ontario, Canada. VG Meats, founded by the Van Groningen family, began operating in the Norfolk area in 1970, catering to local communities. The first VG Meat store was located on Woollen Mill Rd. Since its inception, the company has always offered home-grown beef products. The family was in control of all processes, from where the animals are harvested from the farm to when the meat is sold at the store. This is how the company assures consumers that its products are safe and of very good quality. The cattle from which VG meats gets its beef are raised on a diet of vegetables and have not been exposed to growth-promoting steroids. VG Meats’ pork comes from a farm that has been supplying the company with quality pork for more than 30 years. VG Meats’ chicken products come from poultry that have been locally raised and processed. The company’s meat products have been recognized several times for its good quality. Although the stores’ locations are not easily accessible, customers who buy from the stores consider the trip worth it. In the company’s new store in the area of Stoney Creek, Ontario, the demand for VG Meats is considerable. VG Meats prides itself with having the best quality when it comes to local meats at competitive prices. The company keeps its prices competitive in order to be able to offer the best value for food. VG Meats is able to afford offering low, competitive prices because it either raises its product, or gets it through local suppliers. VG Meats does not go through large distribution networks that involve the participation of middlemen (which add unnecessary expenses). 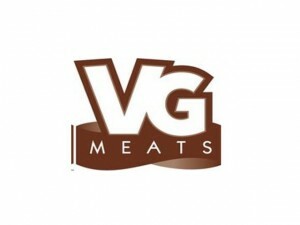 VG Meats offers its products for wholesale and retail. Among the products that it offers are its Ready Meals, signature products, deli products, its award-winning products, and those sold under the Heritage Olde World label.